Bitcoin remained one of top most searched and followed items on Google. The yearly Google trends data has revealed. 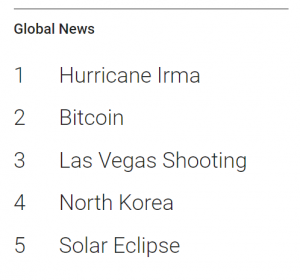 According to the Google Trends, Bitcoin garnered more searches than Las Vegas Shooting or the Solar Eclipse which was internationally followed. Interestingly, ‘How to Buy Bitcoin?’ also remained one of the top-searched queries in the How-tos section as well. Bitcoin has seen an unprecedented growth and interest from the public this year. In 2017 alone, the digital currency saw 20x growth which is why a lot of people took interest in buying Bitcoin and making some quick money. Despite all this, although Bitcoin is the most popular cryptocurrency in the world. It also has become a door to the cryptocurrency world for the general public. Curious people explore Bitcoin and then they stumble upon altcoins as well. 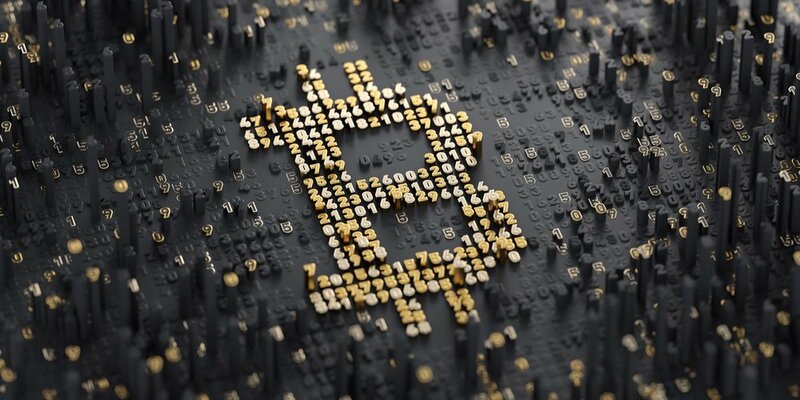 Since the general understanding is that like Bitcoins other cryptocurrencies with good protocols will also see a rise in value, many people are investing their money in those currencies. Also Check: How to buy Bitcoin? According to CoinMarketCap, Bitcoin held 90% of the market share at the start of 2017 but now its share has dropped down to 42%. In 2018, it is speculated that the share of Bitcoin will thin down further. Nevertheless, Bitcoin is still hailed as the king of cryptocurrencies and Google trends data has proved that.